For over one hundred years, art historians have used scientific technologies to access what is below an object’s surface. The introduction of x-radiographs, infrared reflectography, and pigment analysis into the art conservation lab provided new tools to identify fakes, confirm authorship, and care for objects. When conservators and art historians looked underneath the seemingly perfect surfaces of Medieval, Renaissance, and Baroque art, they saw a wealth of choices and decisions made by the painter during the creative process. This new intimacy with the object and the artist’s process continues to change the way researchers think and understand art. Unlike scholars, the public has had few opportunities get close to or under a painting’s surface. Recently, however, art historians, conservators, and institutions have initiated projects and developed tools which are transforming the way the public can view paintings. 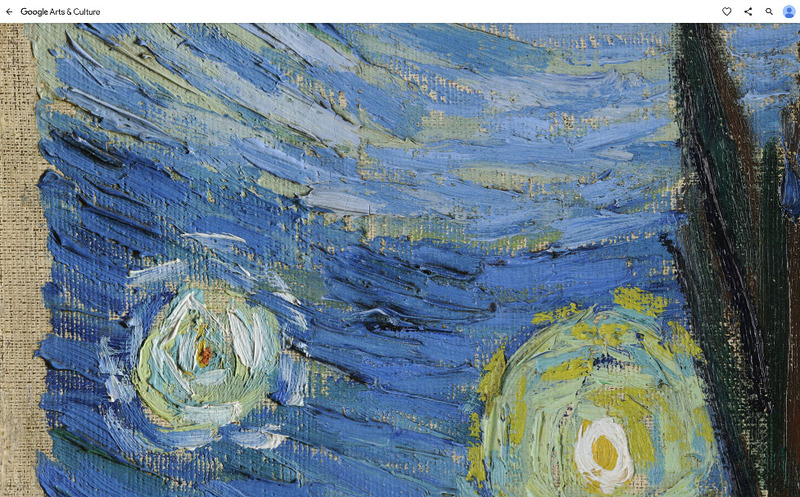 Google Art Project, now Google Arts & Culture, took gigapixel images of selected paintings in the collections of several museums. The intimacy it granted to a painting’s surface allows viewers to truly see, for instance, Sandro Botticelli’s masterful application of the fussy paint medium, egg tempera, in the Birth of Venus or Vincent van Gogh’s thick blobs of oil paint in Starry Night. Closer to Van Eyck: Rediscovering the Ghent Altarpiece focuses on a single artwork’s conservation. It accumulates the technical documentation and images created by the the interdisciplinary project, Lasting Support, beginning in 2010. 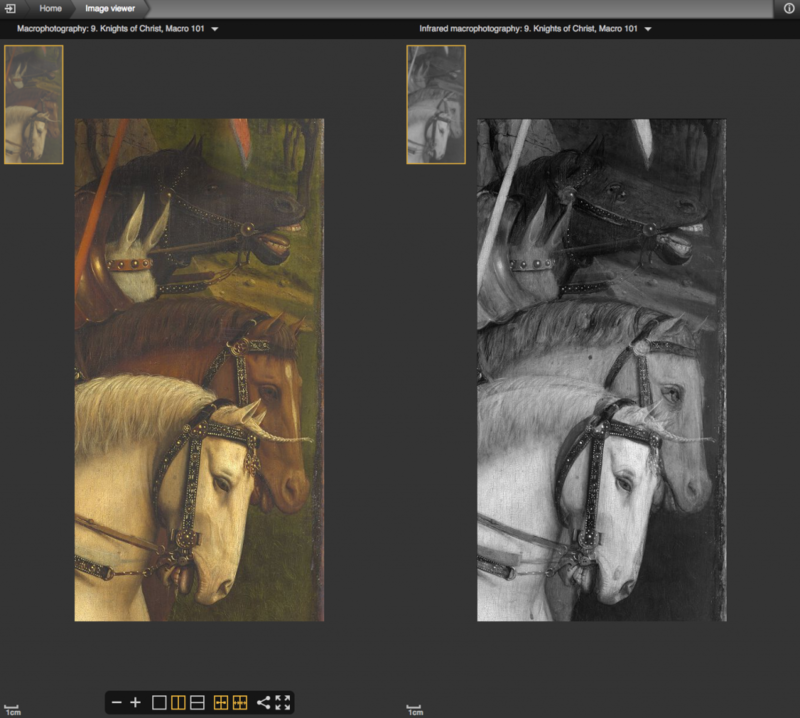 Users can compare the technical images (macrophotography, infrared reflectography, and x-radiography) of a section of the Ghent Altarpiece, which unveils hidden layers of the painting process. Very soon (October 30), the site will be updated to include images of altarpiece panels before and after their cleaning as well as including other works by Jan Van Eyck. 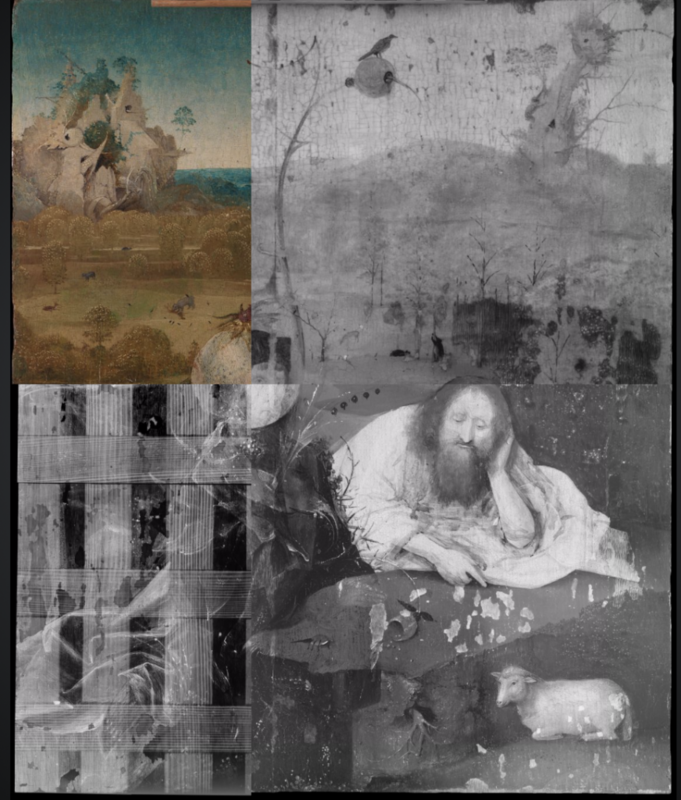 The Bosch Research and Conservation Project’s (The Bosch Project) multimode image viewer provides a different way of exploring the technical images of Hieronymous Bosch’s paintings. Its interface encourages exploration and comparison between the painting and its x-radiograph, infrared reflectogram, etc. Using the image viewer to examine Saint John the Baptist allows you to discover a hidden kneeling figure behind a fantastical plant. The Bosch Project and Closer to Van Eyck are particularly successful because they allow the user to linger and explore an object using easy interfaces. 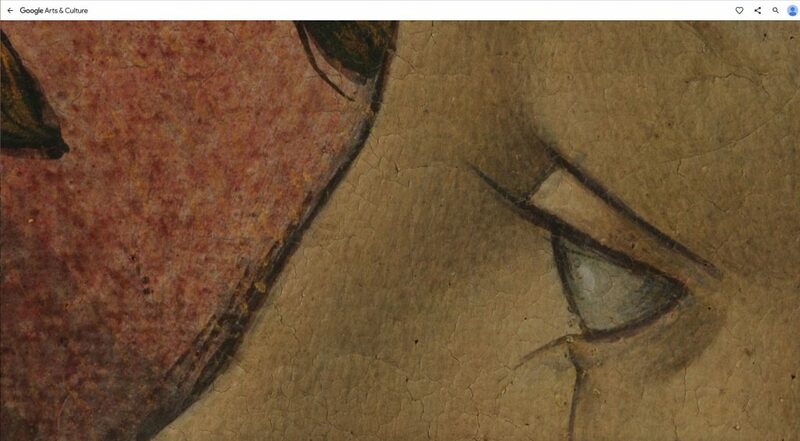 They invite the viewer to look closer and provide the opportunity to examine what is under a painting’s surface. In doing this, the projects are engaging the public in a new way that helps them see art differently.